If you’re searching for affordable and dependable Moorestown auto glass replacement, Clear Vision is the clear answer! 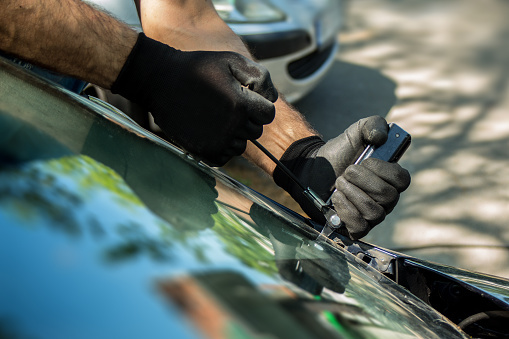 Wherever you are in Moorestown or Burlington County, Clear Vision’s mobile technicians can handle your auto glass replacement needs. We’re on call 24/7 for emergencies, and we’ll help you get back on the road safely and legally. Repairing Cracks and Chips. If your windshield has a small crack or chip in it (smaller than a quarter), call on us to fix it today. Cracks and chips in windshields grow if left alone, and could reach the point of having to replace the entire windshield at a much higher cost. We can repair your windshield now, and save you a costly replacement later. Windshield Replacement. When you need a new windshield to replace a shattered or cracked one, call on Clear Vision to install it. We can save you considerable costs with out aftermarket equivalent glass that works just as well, or use our original auto glass. Our techs can install a new windshield for whatever your vehicle type. Side/Rear View Mirror Replacement. Blind spot accidents are very common on our highways. If your vehicle has a cracked side view mirror, you run a greatly increased risk. A cracked mirror can also result in an expensive citation for commercial vehicles. Clear Vision can come out and fully replace your mirrors, making your car safer and restoring peace of mind. Replacing Power Windows. Have a power side window that needs replacing? Contact us and tell us the make and model of your vehicle. One of our techs will come out with all of the necessary parts, install your new window, and fix motors or assemblies as needed. We’ll even vacuum out glass and debris. And we’ll save you the considerable cost of a dealership. Don’t take chances with your safety or risk a ticket. Call Clear Vision today for your Moorestown auto glass replacement needs or use this form to request a quote. We’ll help you see the road safely again.